Record number of foreign direct investment projects approved in 2013 amount to three times the total of the previous three years brought together. 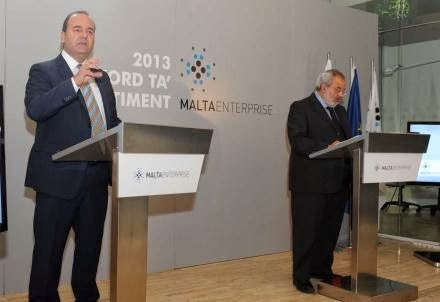 Malta Today 22/02/2014: Provisional data for 2013 shows that Malta Enterprise approved 36 foreign direct investment projects, a figure that amounts to three times the total of the previous years together. Data provided by the government investment arm showed that approved FDI projects in 2010 amounted to two, increased to nine in 2011 and down to two again in 2012. Although the effect of last year's project approvals will not be instant, Malta Enterprise forecasts the creation of 2,611 new jobs with a total investment of €166.3 million...read on.